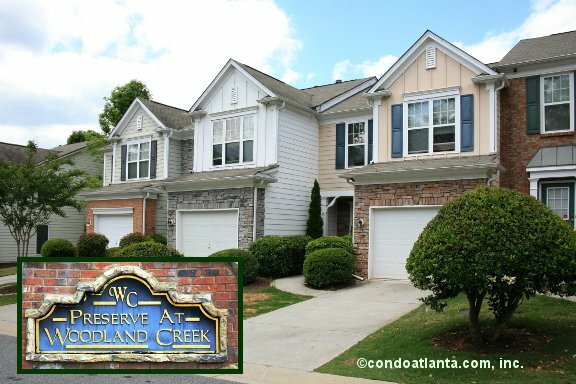 The Preserve at Woodland Creek is a community of traditional townhomes with brick and stone accents and garage parking. Enjoy all the benefits of a home location convenient to the shops, restaurants, and entertainment venues of Town Center, and The Outlet Shoppes. Enjoy the scenic trek to Lake Allatoona. Local recreational parks and green spaces are nearby including Olde Rope Mill Park. The Golf Club at Bradshaw Farm will capture the interest of golf enthusiasts. Commuters are convenient to the City of Roswell, and have ready access to travel routes along Highway 92, and I-575.